Hugo Red by Hugo Boss is an oriental spicy fragrance for men. For a brand that has more than 90 fragrances under its belt, Hugo Boss sure doesn’t disappoint. 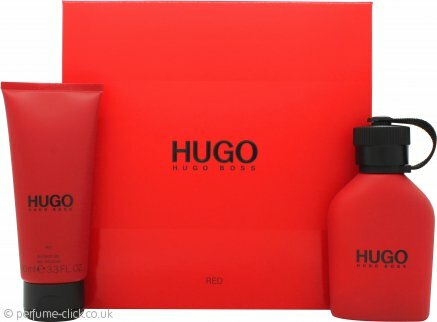 Hugo Red is not a typical men´s fragrance; its unique cooling summery opening is in stark contrast to the warm base – opposites attract and this fragrance is the undeniable proof of this. An abundance of citrusy notes will hit you as soon as you spray it on, give it a few moments and the heart of rhubarb will start to dominate, just before the sweet oriental base makes its way into the scent. Wear Hugo Red as an EDT, aftershave or treat yourself or a loved one to a gift set with the perfumed shower gel – ideal for layering your scent! Hugo Red was launched by Hugo Boss in 2013.